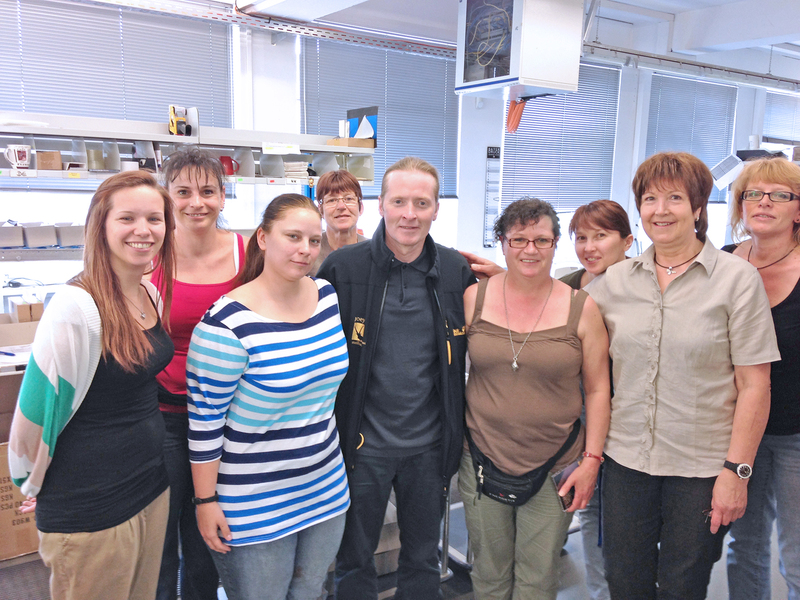 After supporting the ENERGETIX team in the Gutenberg Marathon a few days previously (as already reported in FROGBLOG), extreme athlete Joey Kelly visited the ENERGETIX headquarters in Bingen in the middle of May. This exceptional athlete was very interested in the wide range of products and the company’s different departments, both of which he found out about during his visit. He took advantage of the opportunity to say hello to the ENERGETIX staff and hand out autographed cards and CDs. 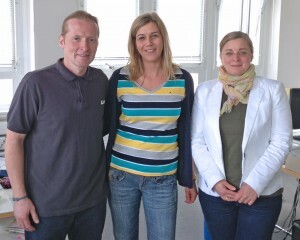 The meeting lasted several hours and focused on Joey Kelly’s future collaboration with ENERGETIX Bingen. All we can say at the moment is that you can look forward to further exciting ENERGETIX campaigns with Joey Kelly! 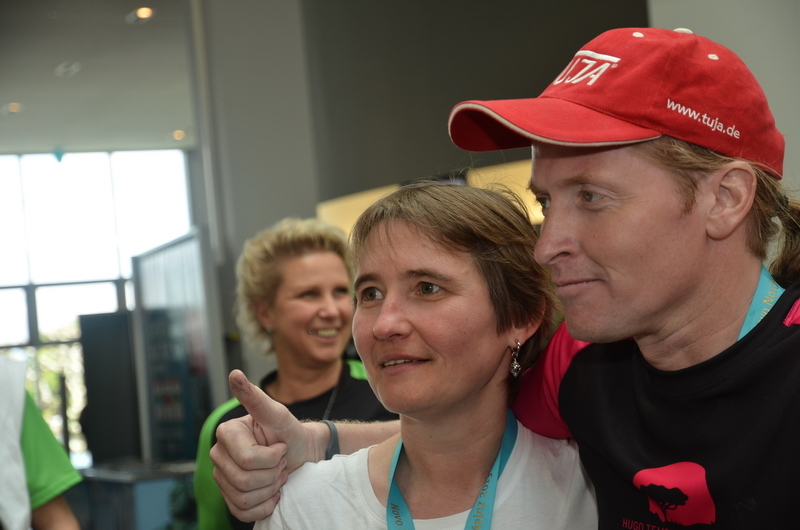 NB: The extreme athlete was visibly impressed by the silicone sportEX bracelets: Joey Kelly had one on each wrist when he ran the half marathon in Mainz on 12 May and he was also wearing sportEX when he visited Bingen. 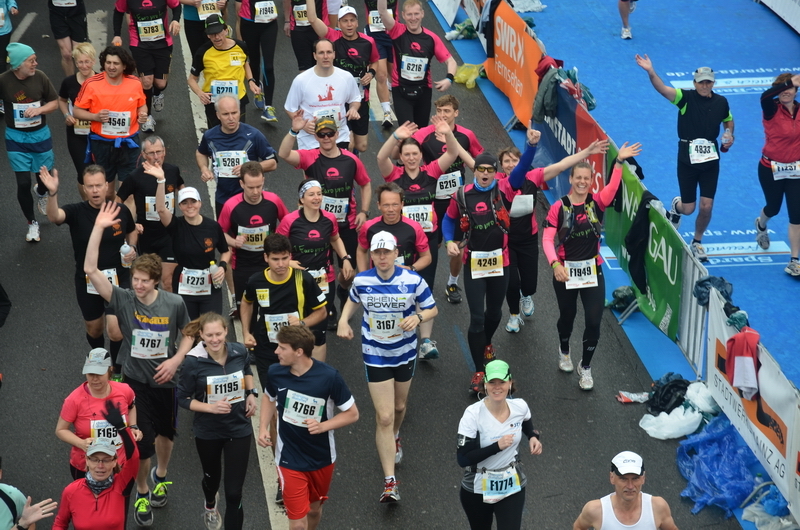 This year the Novo Nordisk Gutenberg Marathon took place in Mainz on Mother’s Day. The 29-strong team of ENERGETIX distributors and staff – together with Joey Kelly, whose presence gave an extra boost to motivation – left the starting line at 9.30 am. 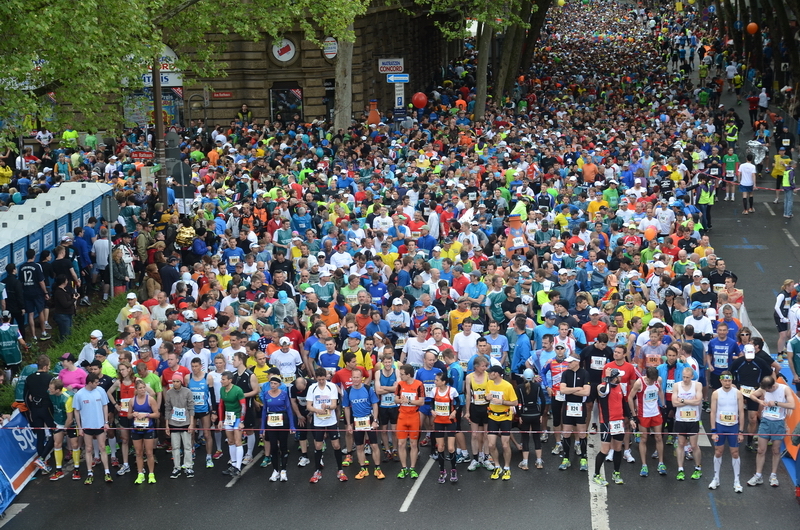 The half marathon course took the runners from the Town Hall through the city’s Old Town and Downtown areas, into the Weisenau and Mombach districts and then back to the Town Hall/Rheingoldhalle starting point – to run down the home straight after a little over 21 kilometres. 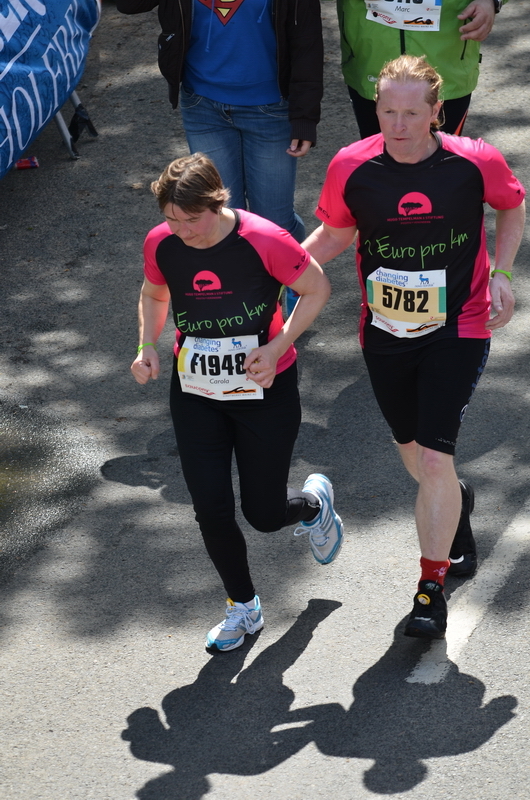 A true sportsman and gentleman, Joey Kelly ran back unprompted – after he had already crossed the finish line – to help an exhausted ENERGETIX runner complete the last few metres. 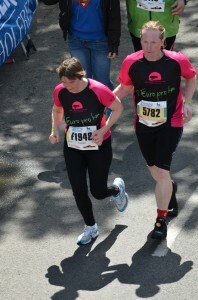 Running beside her, he kept on encouraging our distributor till she managed to reach the finish line. Thank you, Joey! All of the runners who started for ENERGETIX crossed the finish line after the half marathon course of exactly 21.0975 kilometres – in a cool 14°C temperature. 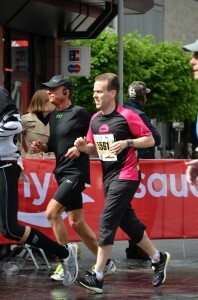 With one exception: one member of the ENERGETIX staff actually ran the full 42 km marathon (well done, Erik)! 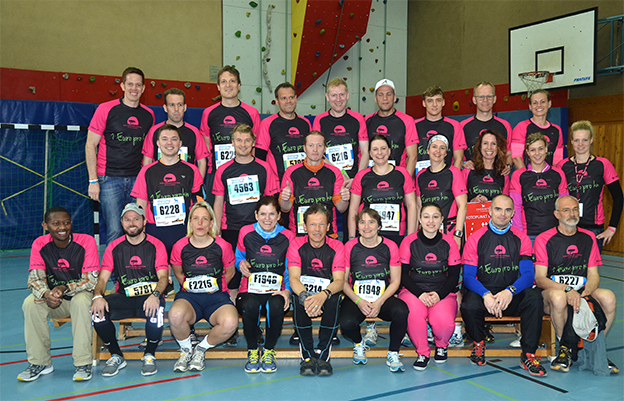 For every kilometre run, ENERGETIX Bingen donated three euros (instead of the one euro originally announced) to the charitable Hugo Tempelman Foundation. As a result about 2,000 euros were raised for the good cause. 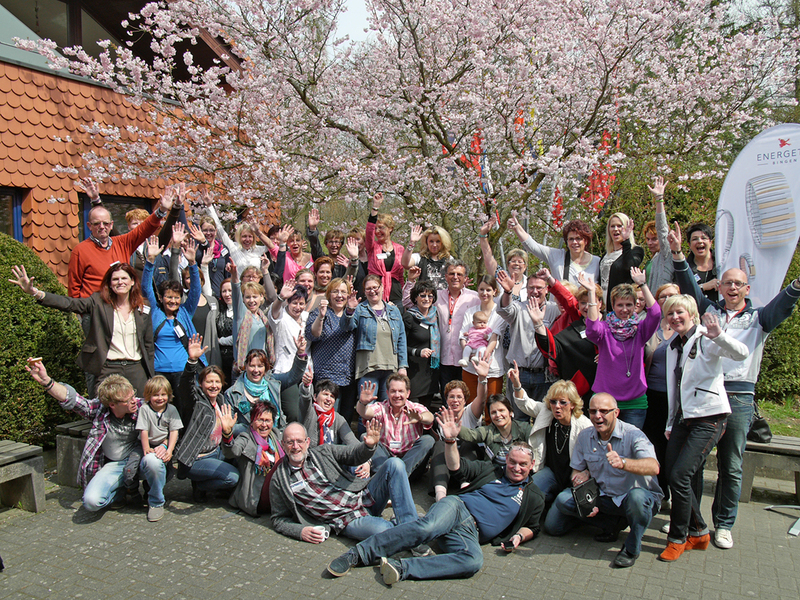 Nearly 80 distributors attended a “first-rate” seminar in Wetzlar from 19 to 21 April 2013. 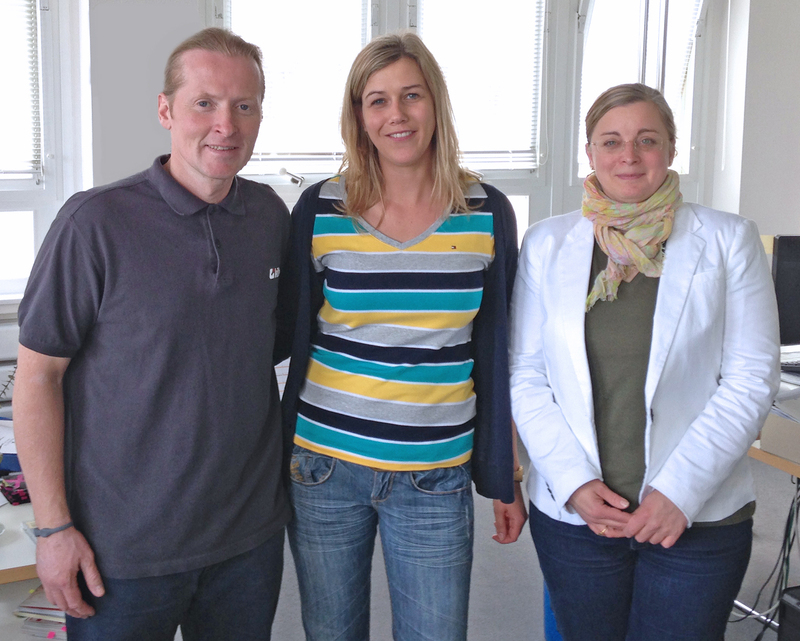 Four successful ENERGETIX distributors and trainers – Ulrich Lang, Sjaak Janssen, Sabine Kaiser-Martin and Markus Dietz – were responsible for the professional input. A great atmosphere: the three-day training event in Wetzlar provided not only a lot of suggestions and practical tips but also plenty of fun and good entertainment. The programme included home parties (giving information but primarily concentrating on the goals the group identified as being necessary for success) and how to use “selected laws of daily life” in one’s work as an independent distributor. In addition, participants learned how to handle frustrations (which sometimes arise on the way to success) through a role-play exercise. The aim and focus on the Sunday was on one’s own business –with the help of a “success journal” dedicated to expressing one’s goals in positive terms. 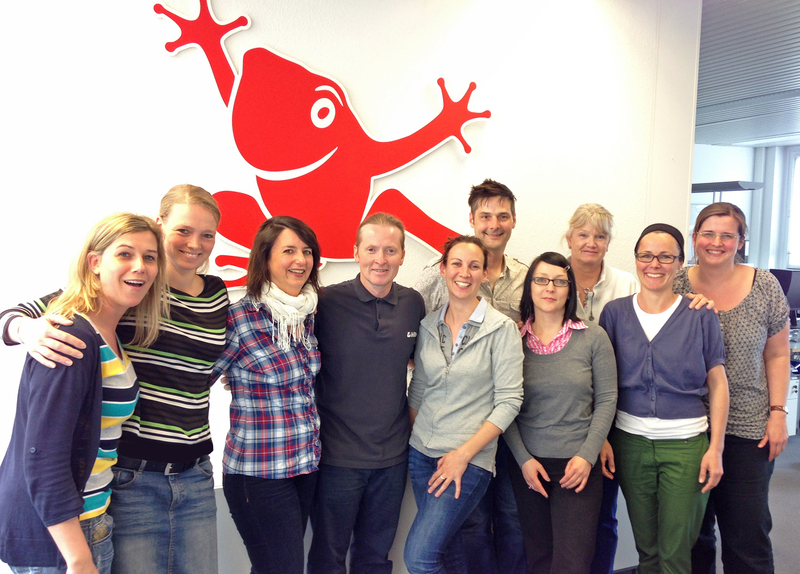 The weekend seminar in Wetzlar left participants looking forward to the next meeting. And a further cause for pleasure: 700 euros was raised for the Hugo Tempelman Foundation as a result of the training event! At the start of May it was that time again: a meeting was held of the “best of the best” – this time in Strasbourg – to exchange ideas and take part in training activities. The first day took the form of a get-together in a historical setting. The programme included a sightseeing visit of the city and a boat tour on the Ill. In addition, tribute was paid to the achievements of the STARCLUB members and certificates were awarded. On the second day, the actual training day, the “stars” heard the company news first hand from sole shareholder and CEO Roland Förster and CIO Alexander Link. ENERGETIX distributors can see the photos of this very special two-day event via the QuickNews entitled “STARCLUB in the European capital”. 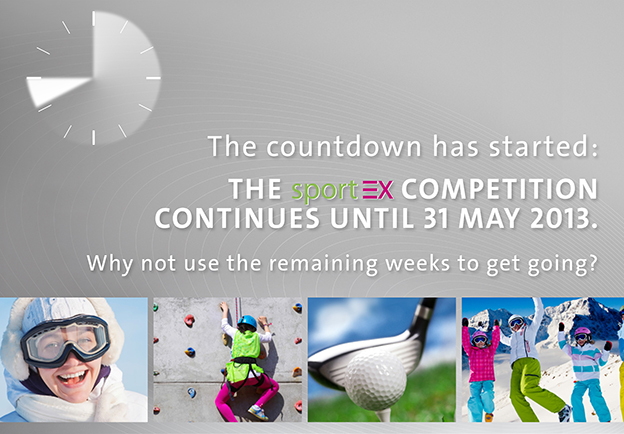 The sportEX competition is in full swing. ENERGETIX distributors making a final push with good sportEX sales will secure their chances of winning one of the coveted prizes! It’s worth staying on the ball because the winners are to be awarded sport and leisure equipment of their choice. An advertising email with the product’s representative, Franziska van Almsick, and important information about sportEX that will make your customers want to own the sporty and fashionable accessory is available to distributors in the management system (under Marketing/Sales/Advertising emails). ENERGETIX distributors may refer to the QuickNews sent out in January for the competition’s terms and conditions. We are delighted to note that sportEX is gaining prominence in more and more sports, as shown by top professional athletes and committed amateurs. Ultra marathon runner Felix Knopp from the town of Much is the classic example of a very successful sportsman who wears sportEX. This can be seen in a short WDR TV report (of 27 March 2013) in the channel’s “Lokalzeit aus Bonn” programme, which shows Felix Knopp checking the paths of the Natursteig Sieg, a 115 km long-distance nature trail, in double-quick time. 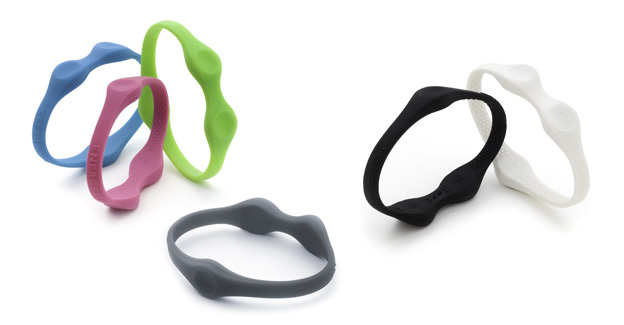 He is visibly wearing a featherweight sportEX bracelet… a light green one! This 41-year-old member of the LLG St. Augustin club is a dedicated cross country runner with impressive ultra marathon statistics. True to the motto “Run to the limit”, this extreme athlete apparently checks the entire trail at the run. The ultra races he has completed include the 100 km Biel Run and the 50 km Westerwald Run, which he won in 2010 in a time of 4 hours and exactly 10 minutes. This year no less than world-renowned musician and extreme athlete Joey Kelly will be supporting the ENERGETIX team in the Gutenberg Half Marathon in Mainz! 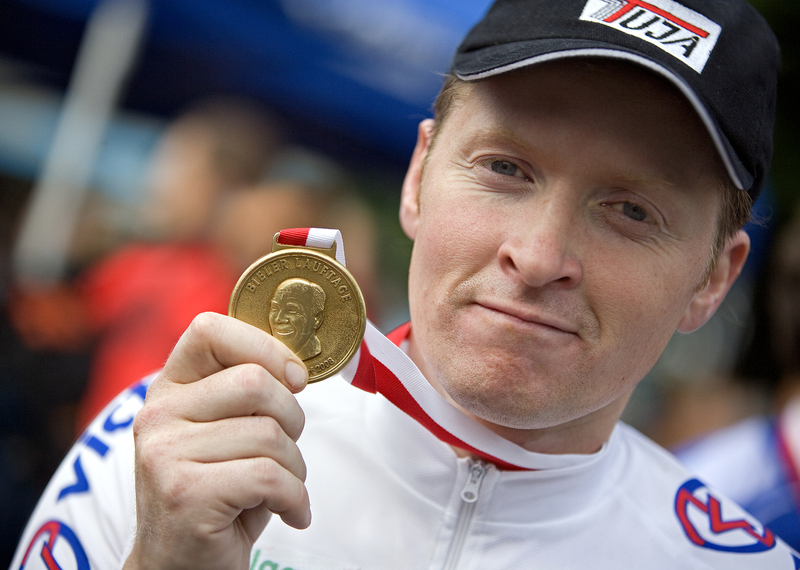 Joey Kelly will join the highly motivated ENERGETIX distributors and staff at the start line on Saturday, 12 May 2013. The race begins at 9.30 am. 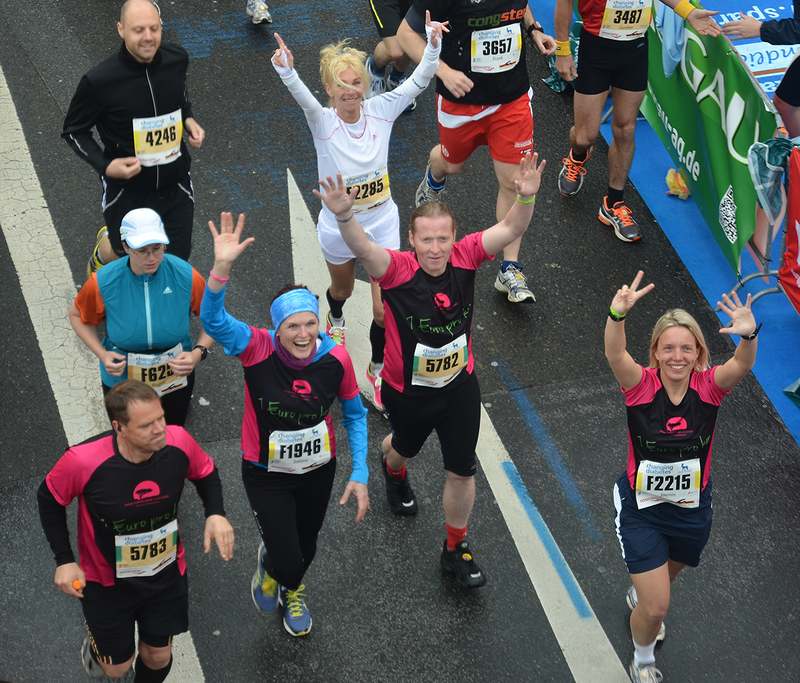 As was the case last year, the ENERGETIX team will again be running for a good cause: every kilometre run will increase the amount donated to the Hugo Tempelman Foundation. Don’t miss this date and be there on the sidelines on 12 May when Joey Kelly takes his place at the start, together with the ENERGETIX team. NB: The multi-talented Joey Kelly will also be there at the ENERGETIX Catalogue Launch in Berlin on 31 August 2013 and motivate guests with an energetic talk – as distributors already know. Autograph session with Joey Kelly: Joey Kelly will be available to sign autographs for you after the race, at 1.30 pm, at the sportEX stand at the Running Expo (to be held on 11 and 12 May) in Mainz’s Rheingoldhalle.